So the question really becomes, how is your company distributing compliance documents? Do you have a written process? Do you have written consent? 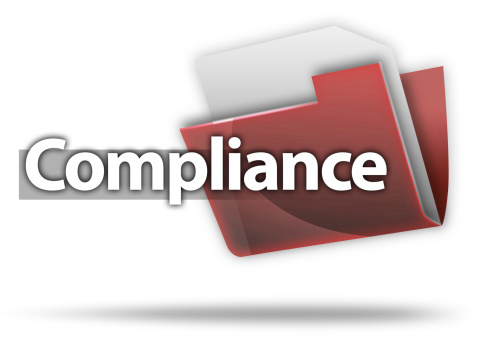 It boils down to one simple question: Are you compliant? The question asked repeatedly is, what alternatives are available for a client to distribute these documents to plan participants via a means other than the traditional delivery methods of mailing a paper copy to each participant’s home address or handing out paper copies to participants? Here is how it works. If all employees do not have regular access to company email as part of their normal job function, then electronic distribution is not compliant. Department of Labor regulations require that the plan administrator use measures that ensure employees actually received the disclosures. They also have safe harbor rules under which plans may use electronic delivery for ERISA required documents. Compliance ensures that the Department of Labor and courts will find the plan’s electronic delivery to be “reasonably calculated to ensure receipt.” This is the standard set under ERISA Section 104(b). With this, the plan administrator must ensure that the delivery method chosen results in actual receipt by the participant. Notice that a paper version of the document is available on request and for no charge. A participant who has the ability to access electronic documents at their work location and whose access to a computer is an integral part of their job duties. Distributing a paper notice, requesting employees to email a specific person with their email address if they consent to email delivery of the SBC. Providing CDs with the SBC on them to employees, along with the required written notice. Mailing a postcard or other document to employees’ homes with the required notice and a website address where they can access the electronic SBC (the website needs to have a consent form page). An additional recommendation is to include an electronic delivery statement on open enrollment materials outlining that the SBC and SPD should be read; also providing a list of ways employees may access or obtain the documents. The website where the SBC is located contains an electronic consent form. So, the question remains. Are you compliant? See our recent blog for what to include in an SBC. For additional information on completing the coverage examples, providing the glossary, distribution, language requirements and more, view UBA's "Summary of Benefits and Coverage FAQs"